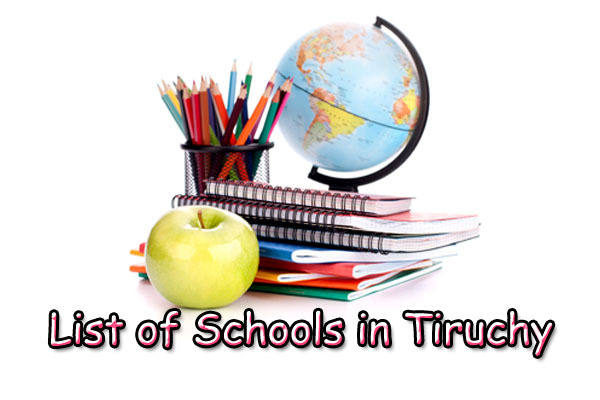 Here you can get the detailed information about List of Schools in Trichy including contact address, contact number, mail address and website of school. If you want to search for particular school and you know the name of school, then you can use the Search Box located at top right corner, otherwise press Ctrl + f Button, then type your school name you want to know and press Enter Button. Keywords: Matriculation Schools in Trichy, Higher Secondary Schools in Trichy, CBSE Schools in Trichy, ICSE Schools in Trichy, Pre Schools in Trichy, Kids Schools in Trichy, play schools in Tiruchy, List of Schools in Tiruchy. If you are having difficult to find your school, better you can download the school address in document format(MS Word file) for your convenience. kallanai Road, Vengur (Near BHEL), Trichy – 621113, Tamilnadu. # 27, Thayanoor Village, Others, Trichy – 620009. Williams Road Bharathiyar Salai, Cantonment, Trichy – 620001. Trichy – Chennai Hwy, Maruthi Nagar, Tiruchirappalli, Tamil Nadu 621216. 75-m, Salai Road, Rockfort, Matric Hr, Salai Road, Tiruchirappalli, Tamilnadu 620003. No:4A, Ramalinganagar, west extn, 5th Mainroad, Kurinji Street, Woriyur, Tiruchirappalli-620003. Alpha Avenue, Sudhana nagar, K.K. Nagar East Extn, Airport Post, Tiruchirappalli-620007. 21, Kalyana Sundaram Nagar, Karumandapam, Tiruchirappalli-620001. Sri Vidya Ganapathy Nagar, Near Maharani Theatre,, Tiruchirappalli, Tamil Nadu 620002. 70, Melachinthamani, Tiruchirappalli, Tamil Nadu 620002.